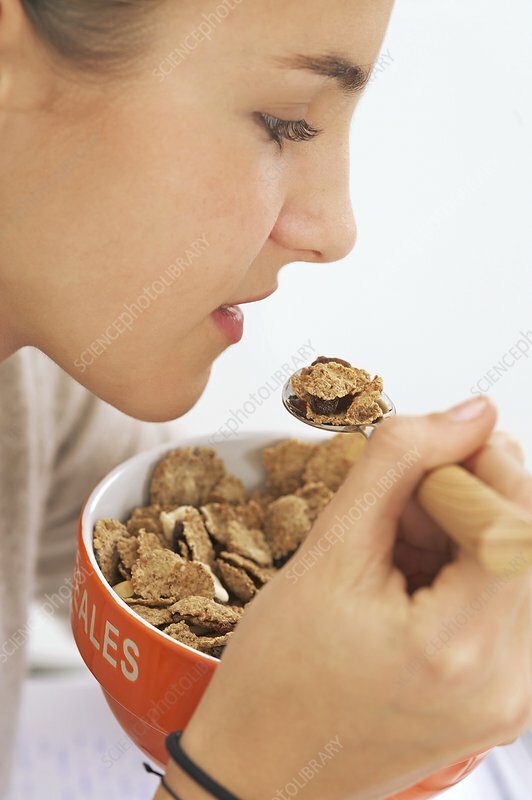 Teenage girl eating cereal. Teenage girl eating cereal with fruit. Cereals, especially those low in sugars and high in fibre, are a healthy breakfast food. The addition of fruit and the use of a whole-grain cereal provides a slow release of energy as opposed to the fluctuating energy levels provided by processed sugary foods.